I’m superrr excited to write this post. 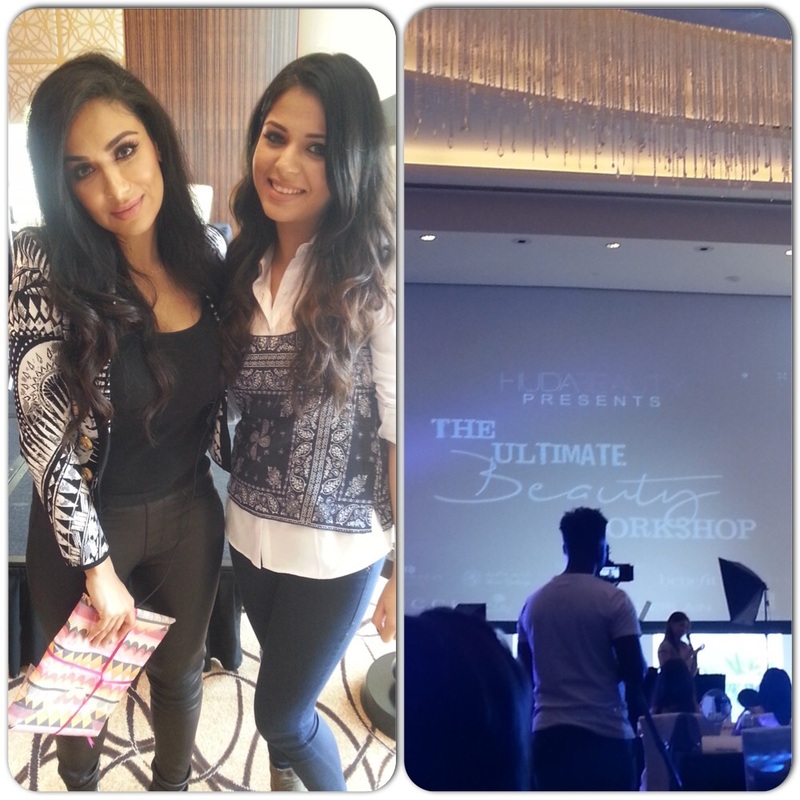 I had the privilege to attend the Huda Beauty master class. It was such an amazing class. As a secret (well not sooo much of a secret now..lol) I have been stalking Huda beauty on Instagram for a while now.So when she announced that she was having a master class, I jumped out of excitement and decided that I needed to be there. The class was soo much fun , where in the first half she beautified a beautiful Nina ali, aka Lipstick mommy on instagram . You can find her on instagram. 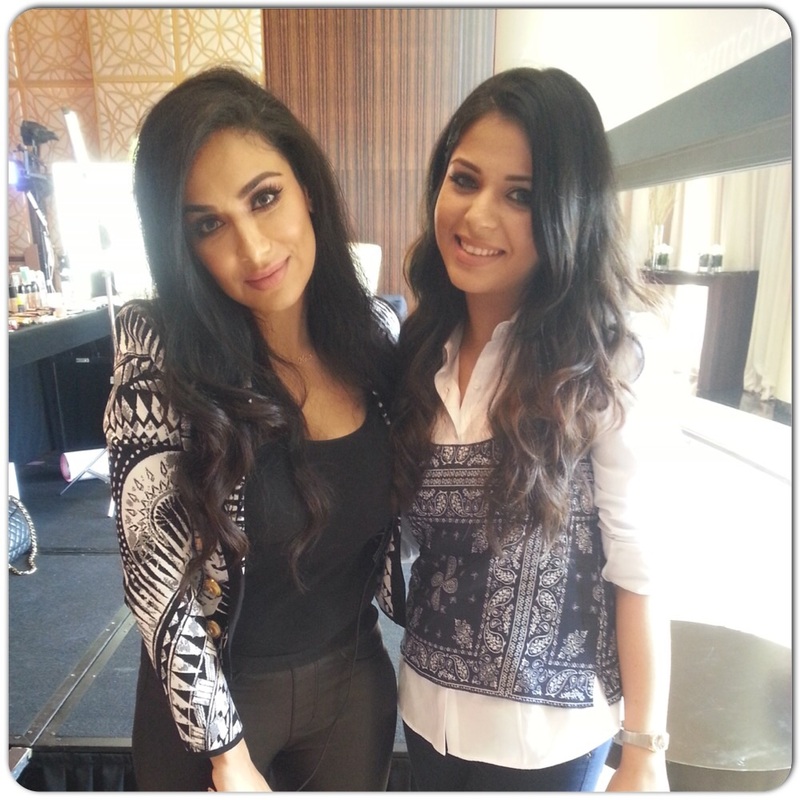 She dint hold back when it came to sharing all her beauty secrets. We kept bombarding her withhh sooo manyy questions and she kept answering them without any hitch. So the session started out huda demonstrating makeup on Nina, which I think went on for about 3 hours with breaks in between. We kept asking her doubts in between and that is why it took her 3 long hours to complete. But the final result was flawless. I cannot divulge much, as I think it would be unfair to huda. But it can I say one thing, if and ever she decides to have another master class I surely will go for it . And you must too. 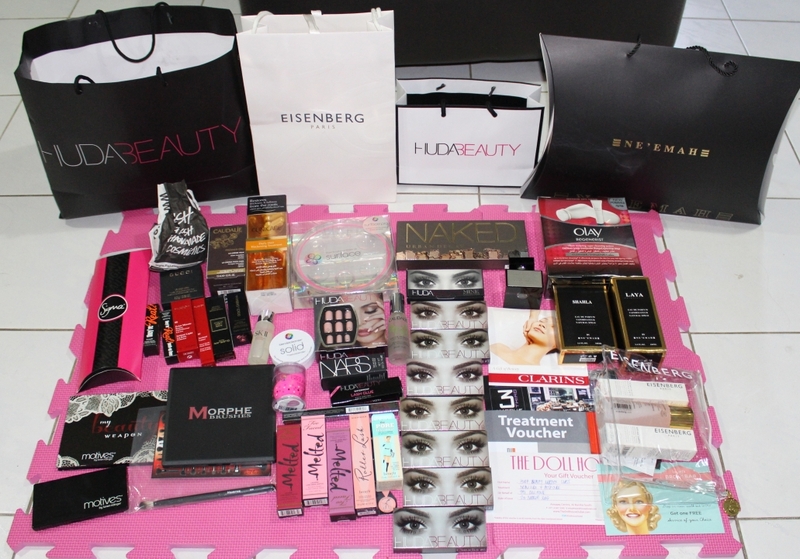 Here is what was in the goodie bag. It was such a generous goodie bag.